Leveraging on our affluent industry proficiency, we provide IT Outsourcing Service. These services are accomplished employing the advanced techniques. In addition, our provided service is rendered in varied terms and forms that meet on customer’s demand. Moreover, we render this service at nominal costs. With Lotus Computech IT Outsourcing you can benefit from Lotus Computech in the management of applications and other IT components in either a hosted or onsite arrangement. We are engaged in offering world class IT Consulting & Outsourcing Services. We are readily engaged in providing world-class IT Outsourcing Services. A team of well-trained staffs is offering these services as per the thorough demands of our clients. We believe in offering precise solution of client’s needs and assist them accordingly. Para Solutions provides the IT outsourcing service beyond the typical technology-centric cost reduction to empower client's operation and enabling them to garner higher and enhanced business value. Focus on your core business without the distraction of complex it decisions. 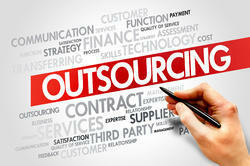 Outsourcing allows companies to Reduce IT complexities, Accelerate business growth. Reduce your costs, Generate Maximum Benefits, Causes economic expansion that Reduces unemployment, Increases Productivity"
Our Very Important Servide Information Technology Outsourcing. Website Developers and Designers Outsourcing according to your website or application development. Our company have Technical person outsourcing for you product. VBageTech is a Website and Mobile App development company that provides a wide range of web development services in the most popular server-side languages and frameworks. 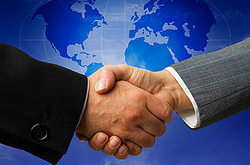 Business process outsourcing, including IT projects and software development outsourcing. It is one of the most popular trends in our modern economy. As evidence, market has forecasted a boom in overseas outsourcing for the US & UK information technology industry. Information Technology (IT) outsourcing allows clients to operate their core business while Pioneer eServices manages their technology needs. Pioneer eServices provides IT services and solutions for small and large systems, networks, and enterprises. Repair of electronics/Telecom/IT equipment from our outsourced client at our various TRC centers.